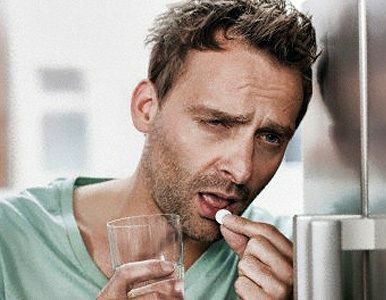 We can compare waking up with hangover like having a bad cold. We really feel low, pain,sickness and confusion. And precisely today, the first day of the year, we could declare the international day of hangovers. We have to pay the consequences for our excess. They all depend from the quantity of poison we drink or take. Running to take paracetamol or ibuprofene could make bigger the damage of our liver or kidney and the reason why, is because these painkiller reduce the blood pressure to these organs. Instead of painkiller I suggest you an antidote, more healthy: yoga. Beside the rehydration with water, natural juice or other kind of caffeine free drink, practice yoga can speed up your recovery. Yoga is a fantastic tool to recover from hangover, is a panacea because it frees us from toxins, improving the circulations and the digestive system. Yoga helps to relieve the body tension, from head to feet, yoga moves the blood so each part of the body have oxygen and feel younger. If you are a beginner I suggestion to looking for a teacher to help you. This posture stretches the muscles that are in pain with the hangover. The mind calms down. It brings a reinvigorating sleep, it stabilizes the arterial pressure, which breaks after few nights of excess. Ardha uttanasana can reduce the stomach ache, the anxiety, the depression, the stress and the tiredness. It has also a therapeutic effects to ease the head congestion related to the hangover. Ardha uttanasana or half forward bend. This posture quiets the brain, stretches the spine and the shoulders. It relieves the head from the hangover pain, from the anxiety, and it stimulates the liver and the kidney. Janu sirsasana or head to knee pose. The gravitational attraction of this posture gives a feeling of emotional, mental and body relief. Balasana makes the breathing process stronger and constant, it improves the blood circulation in the body. We all know that the hangover affects the mental and fiscal aspects of the body. This asana, which also tests our abdominal strengths, improves our balance and digestion. The intestin, the thyroid,the kidney, the prostate gland are stimulated because this asana activates the metabolism and speeds up the process of detoxication.It improves the balance and the coordination, both aspects could be affected by hangover. APANASANA or knees- to- chest pose. Do you feel nausea or swelling? Well this posture improves the function of the colon and it is a good remedy for abdominal easing and for nausea. Apana is a Sanskrit word for vital strength that flows to the bottom, is the opposite of prana, the vital flow. While prana gives life to the body through the breathing techniques, Apana, in the opposite way, represents the removal process outside of the body. This posture helps to eliminate toxins and impurity trough the lungs, the kidney and the liver. Apanasana or knees to chest pose. It is a regenerating posture, SUPTA MATSYENDRASANASA helps to hydrate the spinal discs while the stretching relax and helps to realign the spine discs. It massages the abdominal organs through the elimination of the toxins. The twist in this asana stimulates the flow of fresh blood to the digestive organs, improving, in this way, the health of all digestive system. It is also therapeutic for stress. The chest and lungs open and in this way we promote the breathing which produce the purification of blood and internal organs. The tiredness, the depression and the sciatic nerve relieve. The head pain, cause from the tension of the neck and the shoulder, gets better as well. Urdhva mukha svanasana or upward facing dog. And after these postures, I am sure you forget you had hangover. Don’t forget to leave a comment about your results. Tags: asana, body, mind-body, detoxication , head-pain,eliminate toxin, stretching,metabolism, nausea, hangover,health, health and well being, yoga.